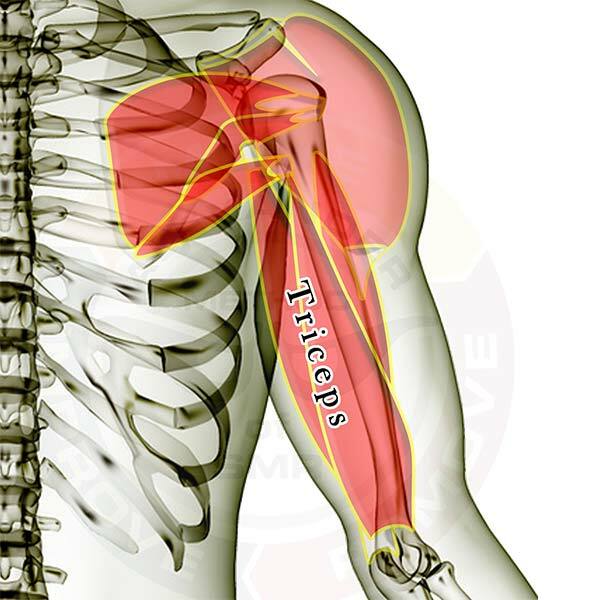 Pictured above is the triceps muscle. It straightens your elbow and pulls your arm toward your side. The long head of your triceps attaches to both your elbow and your shoulder blade, and can keep you from easily being able to raise your arm overhead when it gets too tight. Issues like tennis elbow respond well when you reduce excess tension in the triceps.